This is the newest line from Regius Cigars, the Exclusivo U.S.A. 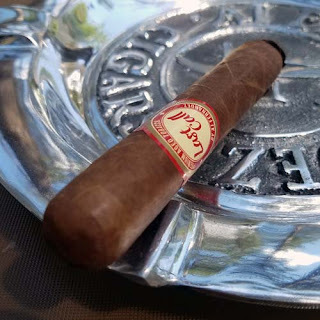 Covered by an oily, smooth, seamless, Colorado Claro colored wrapper with only the finest of veins this Toro extra is packed well and has a neat little pig-tail cap. There are cold aromas to the nose of fermented, fruity tobacco and the firm cold draw tastes like spicy Spanish cedar. The pressed perfecto is firmly packed full length and it's covered with a silky, Colorado Claro colored wrapper. The wrapper is put on seamlessly and it only shows the finest of veins. Since there's a closed foot, there was only the light scent of fresh cut grass and light nuances of caramel once the end cap was clipped. Firmly packed full length and covered by a seamless, nearly vein free Colorado Claro colored wrapper this lancero extra is a real beauty. In addition, there's a bit of tooth to the oily wrapper and the cigar is finished off with a pig-tail cap. Checking the cold aromas, there were light notes of spice from the foot and after clipping the pig-tail cap, the free draw tasted like spiced fruit. After toasting and lighting the foot, the cigar produced a large amount of medium bodied smoke with nuances of toast and caramel. 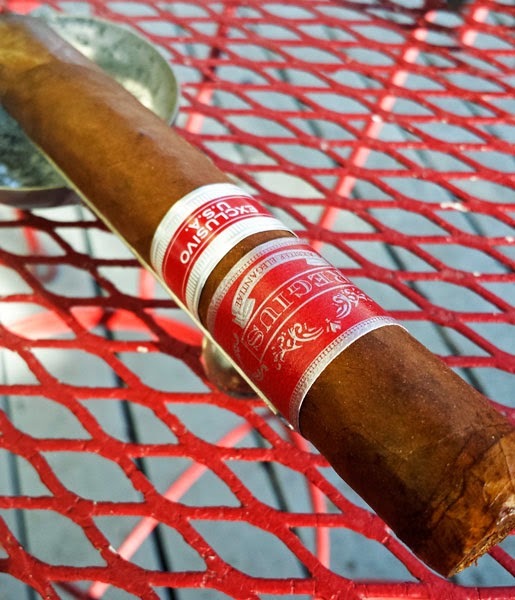 Caramel was the predominate flavor in this cigar, but there were other smooth notes of leather, cream, raw sugar, raisin, dark brown sugar and some mild black pepper. After sixty-five minutes the Lancero Extra finished with a full bodied mix of caramel and black pepper. This Fat Perfecto measures out at 5 ¾ x 60 x 54 and again it topped off with a pig tail cap. The Colorado Claro colored wrapper is nice, it's seamless and nearly vein free. From the cold foot there is a light spicy aroma while the free draw has bolder sweet notes of spice and fruit. Well there you have it, that's the full line of the new The Exclusivo U.S.A. from Regius Cigars. I thought they were all great cigars that I could smoke all day, everyday! Give them a try.